Are you undertaking a building or remodeling project soon? 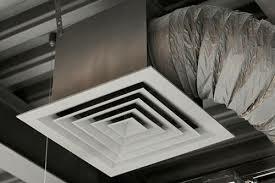 Ductwork installation is one of the important aspects people overlook. For instance, room additions have a great impact on the ductwork, including the general cooling and heating of your home or commercial building. Even 200 square feet of addition may require significant changes to your ductwork system. To ensure you get it right, it’s important to understand what ductwork is, the role it plays and its key components. Arming yourself with the information regarding the process will not only help you get it right the first time but also ensure your projects run more smoothly. This guide will help you understand more about HVAC ductwork. A ductwork system is designed to distribute airflow from your HVAC equipment to your entire home or commercial building. This encompasses the air that is sucked from the whole building into the air conditioner /heater where it gets cooled or heated and then pushed back via the ducts into your living space. 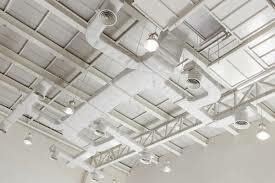 The intake and output of the air are determined by how efficient a duct system is. If you do not have properly designed return vents, the equilibrium of the cooling and heating system and air pressure will be off. This makes your climate control and home’s efficiency suffer invariably. You should know that pipes used to transfer gas, water or refrigerant are not ductwork. Only air is moved via ductwork. What’s more, there are many ductwork constructions and shapes you can choose from. It may come in oval, round or rectangular shapes. It might be fashioned from a wide range of materials like flexible plastics, fiberglass or different metals. Most homes with traditional heating and cooling systems will have some type of duct system. This could include forced-air heat, central air conditioning or other types of system. 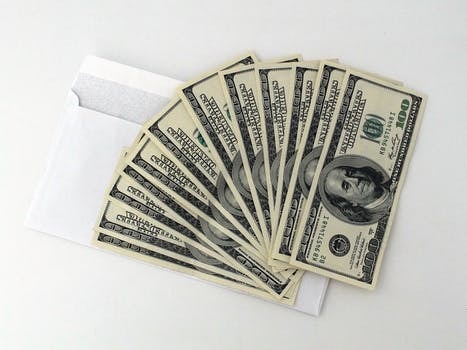 For the first time, the traditional cooling and heating ductwork has been experiencing serious challenges to its initial uninterrupted supremacy. Heat pumps and split-system ACs utilize zoning strategies to boost the efficiency of energy throughout the building. Additionally, they also don’t rely on conventional ductwork. Currently, ductless heat pumps and ductless air conditioning are the most sought-after catchphrases in the HVAC industry. It’s important to consult an expert to know if this kind of a system is suitable for your home or commercial property. In case you choose to get a ductless system, you will be required to take extra steps to ensure your home is adequately ventilated. Another problem homeowners who install replacement windows or upgrade their insulation face is enhanced ventilation. Usually, this is a minor fix, but it needs to be evaluated and handled by a heating, ventilation and air conditioning expert. Small changes in ductwork or other aspects of your system can help give you the most comfortable and energy-efficient experience possible. Properly-installed ductwork helps to keep the home comfortable because it effectively regulates the temperature in the entire home. However, shoddy installation creates numerous problems. Seams between duct pieces are sealed using an aluminum tape while ductwork is separated from areas like crawl spaces and attics with insulation. If any of these issues is not appropriately handled, air leakage occurs. This makes the system inefficient, and the quality of air will be poor. It could also lead to the failure of the entire air conditioning or heating equipment, which is even more costly. Did you notice that we said ductwork is sealed with aluminum tape? 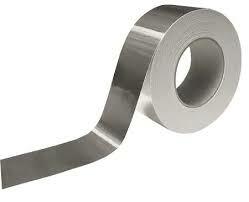 Despite the misleading name, duct tape isn’t suitable for sealing ducts. Instead, special aluminum tape or sometimes mastic is used to create the proper seal on ductwork to provide long-lasting protection and efficiency. Another aspect that needs to be considered when installing ductwork is the sizing. The ductwork’s size should match the size of the air conditioner and/or heater so as to ensure the operation is very efficient. Ductwork installation experts should be capable of matching the equipment you are using to the duct system for a solid fit. The pros can also fine-tune the ductwork for comfort, longevity and optimal efficiency. This is known as balancing; a process where the dampers located in the ducts are adjusted to make sure that the required amount of air flows into each room. The quality of air in your home or commercial building is essential. Keeping pollen, dust, pet dander or other types of irritants from the air you breathe in encompasses more than simply changing your equipment’s air filter. Did you know that contaminants can also collect in your duct system and regular cleaning is required? Cleaning the air ducts is a vital part of ensuring that your family is healthy and the residence is clean. So why should you clean your ducts? Listed below are some reasons. Presence of mold – mold is hazardous to your family’s health. It can aggravate or cause health problems like asthma and allergies. An odor that seems like dirty socks can indicate the presence of mold somewhere in your HVAC system. Clogging of the ducts – dust and other particles can clog your ducts, causing your HVAC equipment to work less effectively. This can also cause health issues. You may be losing efficiency – if you have clogged air ducts, your unit will be forced to work harder to sustain the required temperatures in your residence. This results in an inefficient unit and high utility bills. Galvanized steel – this is a standard and most popular material used to fabricate ductwork. The zinc coating found in the metal hinders rust and helps you avoid painting costs. The metal ducts are lined using faced fiberglass blankets (also known as duct liner) or externally wrapped with duct wrap. If need be, a double-walled duct can be used. Aluminum – this ductwork is light and very easy to install. You can easily get custom-made or special shapes fabricated on site or in the shop, depending on your needs. Aluminum ducts are less common compared to galvanized steel. Polyurethane and phenolic panels – these foam panels are crafted with factory-applied aluminum finishes on both sides. The aluminum foil’s thickness varies depending on whether it’s meant to be used indoors or externally. Pentane is used as a foaming agent by most manufacturers instead of CFC, HFC, HCFC and HC gasses. Fiberglass duct board – these panels are designed to offer in-built thermal insulation. Its interior surface can absorb sound, providing quiet operation of the heating or cooling unit. Flexible ducting – these ducts are made with flexible plastic over a metallic wire coil in order to shape a tube. The flex ducts came in a wide range of configurations, and are convenient for attaching the outlets that supply air to the rigid ductwork. Vibration isolators are flexible sections usually inserted in the duct after or before the air handler to minimize the vibration that occurs when a duct system is operating. Duct systems start at the air handler, which contains blowers. Blowers create substantial vibration, making the duct system transmit the vibration and noise throughout the building. This is avoided by using vibration isolators made with a rubberized material. Take-offs are fitted into openings cut into the main duct’s wall. They help the main duct branching to allow small portions of the flow into the branch ducts. The take-off has numerous metal tabs bent to attach it to the main duct. Ducts allow air to be transported vertically in thin walls. The ducts are also known as stacks and are formed with relatively thin or very wide oval sections or rectangular sections. A stack boot, found at the bottom of the stack, offers a transition from the ordinary duct to a thin-wall mounted duct. A head stack also provides a transition back to the ordinary ducting at the top. Your duct system needs to have a way to adjust the airflow volume to different sections of the ducting unit. Volume control dampers help with this function and can be automatic or manual. Automatic control in a simple system is provided by zone dampers while the VAR (variable air volume) helps control the complex systems. These components are found in the duct system if a duct is passing through a fire curtain or firewall. They are designed to seal off a duct immediately if they detect fire or smoke. They then stay sealed until a technician manually reopens them. Turning vanes are designed to be installed in the ductwork to reduce resistance and turbulence to the flow of air. The air is guided by the vanes, helping it change the direction easily. These are the central collection and distribution units in an HVAC system. The return plenums carry air from numerous return vents into the centralized air handler. The supply plenum, on the other hand, directs air from the system’s central unit into the rooms that need cooling or heating. Terminal units are often found in the branch ducts in a multi-zone HVAC system. Normally, each thermal zone has one terminal unit. Some of them are fan-powered mixing boxes, induction terminal units and VAV boxes. Sometimes they contain a cooling or heating coil. These are the outlets that supply air or are exhaust or return air inlets. When it comes to supplying air, diffusers are commonly found in smaller HVAC systems used in residences. Exhaust grilles are used for appearance reasons, although some also have an air filter. To get quality air in your home or commercial building, it’s important to have an efficient duct system. Proper installation is key and should always be done by a professional who can evaluate your needs and ensure you get a system that’s efficient and effective. You should make sure your duct system is cleaned by specialists to ensure that you and your family breathe quality air. You can always choose the material you prefer for your ductwork, but a professional should be in a better position to advise you accordingly.